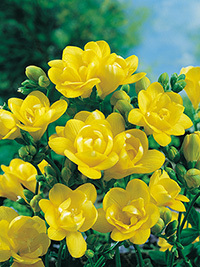 Bright yellow fressia, very double. A great commercial cut flower variety. Fragrant, 40cm.